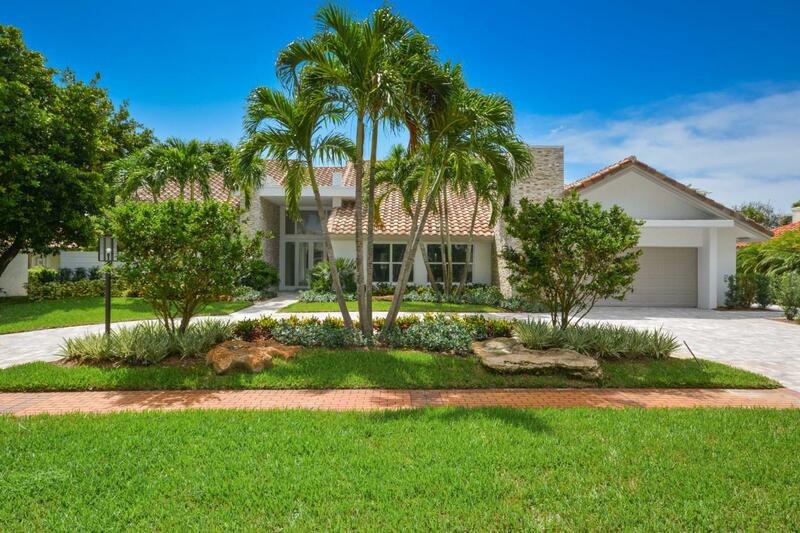 Completely renovated contemporary with spacious light filled open floor plan, marble floors, new chef's kitchen with new appliances, all new bathrooms, large outdoor entertainment area with updated pool with water feature and new decking overlooking lake and golf course views. Other amenities include hurricane resistant windows and doors, new air conditioning, new driveway pavers and all new landscaping . The information herein is deemed reliable and subject to errors, omissions and changes without notice. All measurements are approximate.